High quality 240W AC motor with low speed of 60 RPMs. Dual-swith design makes the product safer. The juice container can separate with the mainframe, and it is convenient for cleaning. 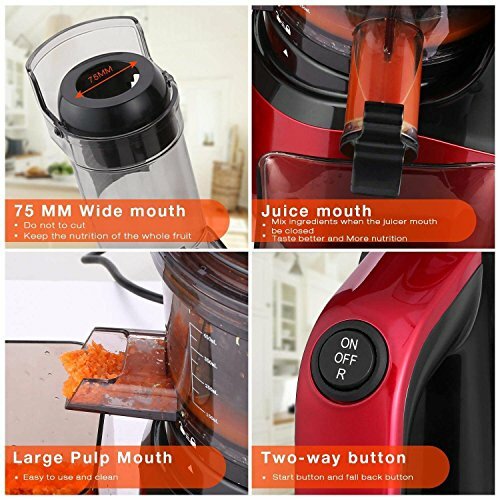 ★Non-grinding juicing method featured by slow squeezing is adopted for product, multi-function design, including vegetable juice and fruit juice etc. 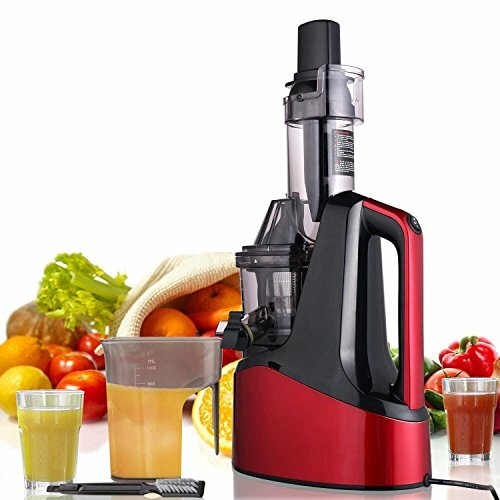 ★Compared with juice from centrifugal juicers, our juice is much more nutritious, tastes better and fresher, and lasts longer. 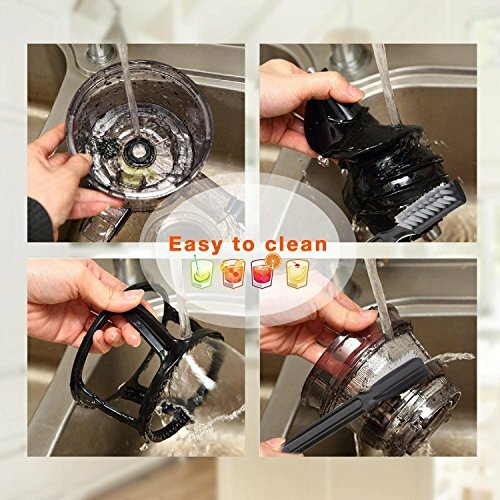 ★The strainer base and the valve provide a sealed space to hold juice during juicing to prevent oxidation, the valve should be shut during juicing. 2. 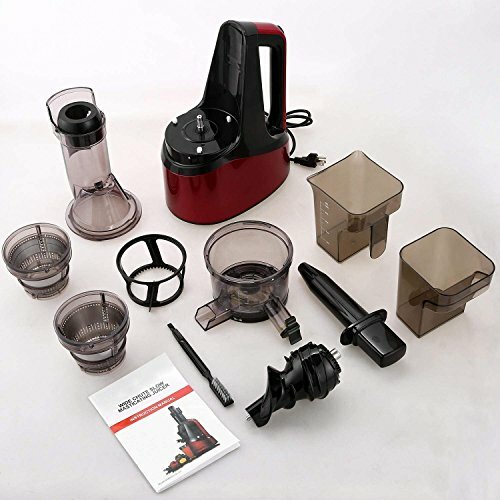 The overload protection system may shut off the juicer due to motor overheating, unstable power supply, improper assembly, idle run, etc. When this happens, the juicer will be locked off for 1 hour. Please wait. 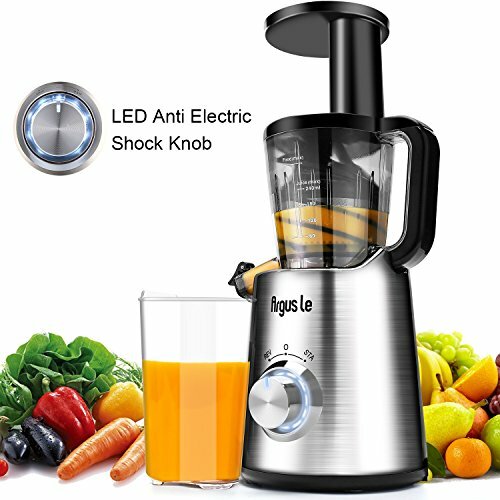 [ Low Speed Minimal Oxidation Masticating Juicer ] – Compared with juice from centrifugal juicers, our juice is much more nutritious, tastes better and fresher, and lasts longer. 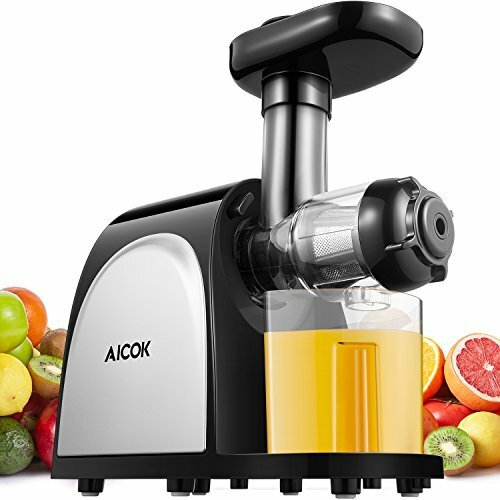 Top Quality 240W AC motor with low speed of 60 RPMs (the golden ratio of force and time) – Squeezes ingredients with minimal oxidation, preserving natural taste & nutrients lost by high-speed centrifugal juicers that grind, crush, and heat (from the fast-rotating blade). 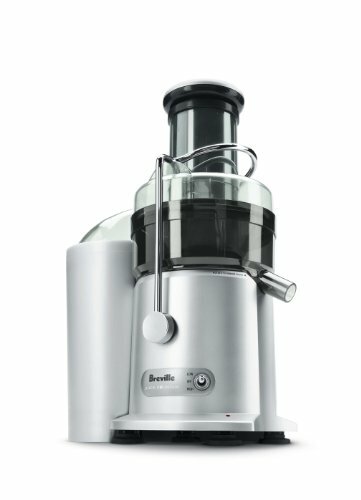 [ 3″ Inches (76MM) Large Mouth Wide Chute ] – Can easily accommodate large produce items; has more resistances to clogging; greatly reduces preparation and cleanup time – Less chopping of the ingredients also helps to reduce oxidation, as the bigger pieces of ingredients, the harder they get oxidized. 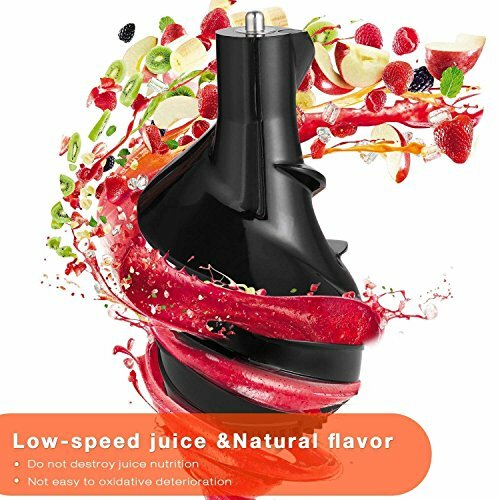 [ High Juice Yield with Little Oxidation ] – High juice yield (Orange 85-90%, Pear 78-83%, Apple 65-75%, Celery 65-70%, Carrot 42-47%) – The strainer base and the valve provide a sealed space to hold juice during juicing to prevent oxidation. The valve should be shut during juicing. [ Multi-Purpose ] – Extract various of vegetables and fruits, such as celery, ginger, wheatgrass, leafy greens, carrot, apples, oranges, etc. 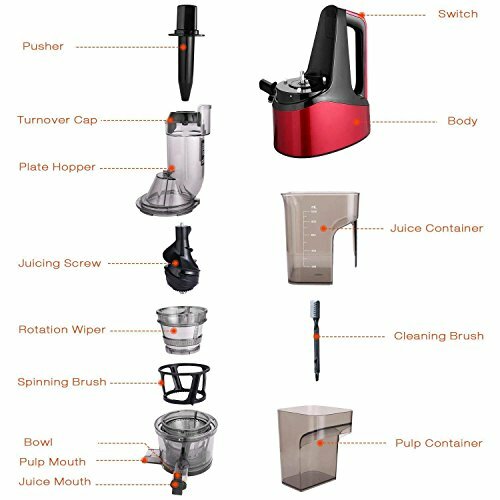 All these functions make the juice extractor a versatile machine that is worth investing in for a modern kitchen. [ Easy to Assemble and Clean ] – Thanks to the sleek design, easily disassembling and cleaning in 3 mins only! 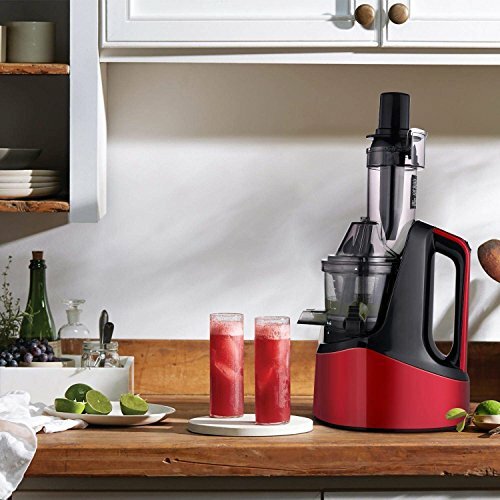 you can always incorporate healthy juices into your daily morning, dining and party. Included a cleaning brush to make cleaning a breeze!